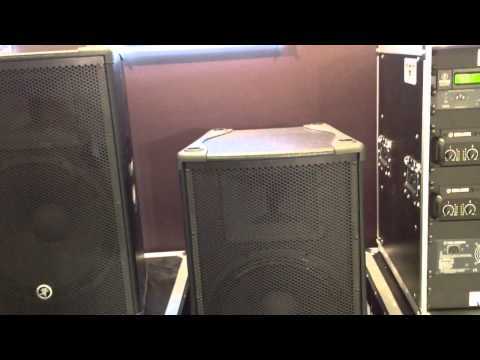 The Mackie S512 2-Way 12 Passive Loudspeaker is the perfect voice for your passive system, with proven performance that is as professi.. The Mackie S512 2-Way 12 Passive Loudspeaker is the perfect voice for your passive system, with proven performance that is as professional as it is affordable. It features a high-output 12 woofer and 1 compression driver that sound great and deliver ultra-wide 90° x 50° dispersion. Road ready, the rugged, PVC vinyl-covered wood enclosure also includes protective edge bumpers, keeping your investment safe during transport. Just pair with Mackie’s PPM series powered mixers or integrate them with Mackie FRS series power amplifiers and a SP260 speaker processor for a completely optimized passive system with the flexibility and performance you need.